I just updated my gear list for what I have been and will be using on the Oregon Desert Trail this year. I’ve copied it below for your convenience! My next section will include mostly packrafting, so I’ll be using specific boating gear. I’m still working out my system, but I’ll share that info soon. It will add quite a bit of weight: packraft, frame pack (Six Moon Designs Flex Pack), helmet, paddle, PFD, throw bag, dry bags, water shoes; but once I’m floating the weight won’t be on my back, unless portaging…or “packing” the packraft. I’ll also be hiking some side canyons and exploring more ways for hikers to hike from rim to river. Did you know I have a packrafting blog too? Kirk and I have loved being able to hike into places to boat, and I’m really excited that the Oregon Desert Trail has so much boating potential in the Owyhee Canyonlands. I’ll get more photos up from my 250 mile section of the Oregon Desert Trail soon, but until then see them on Flickr. Oh, and I shared my thoughts on why hiking with chocolate is important. Salazon Chocolate was one of my sponsors last year and their organic dark chocolate with sea salt was delicious! AND they support the triple crown trails. AWESOME company. 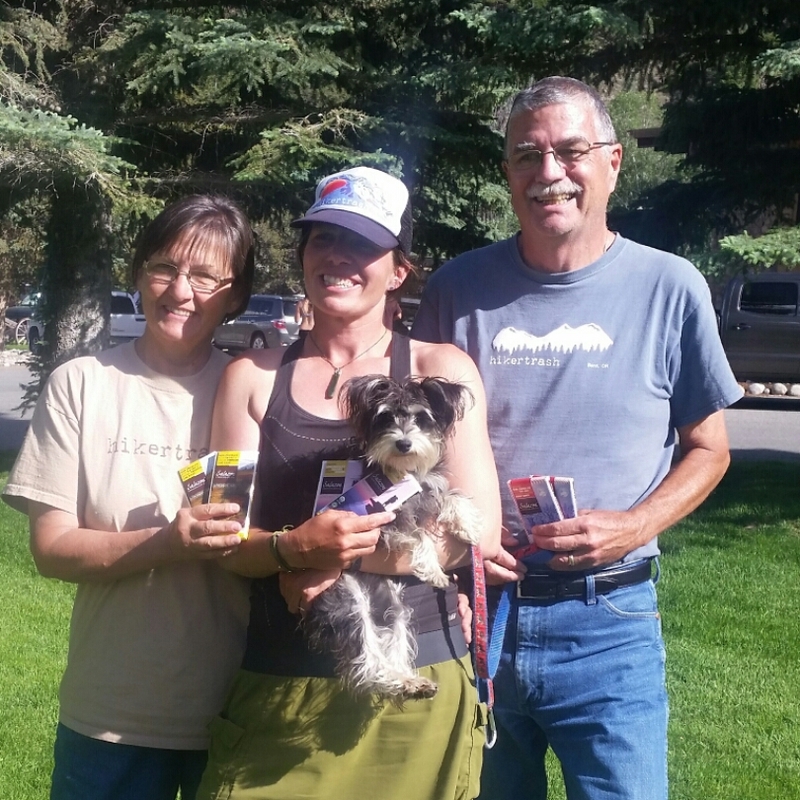 My parents and chocolate on the CDT last year. Great combo! This entry was posted in Uncategorized and tagged backpack, gear list, hiking gear, oregon desert trail, packraft, section hike. Bookmark the permalink. What a treat to see us all together again! Dad and I would love to repeat the experience sometime.